Rebel Music Series was curated with the intention to provide a platform for artists with strong messages to share them with their fans, to encourage growth and change in all of us. 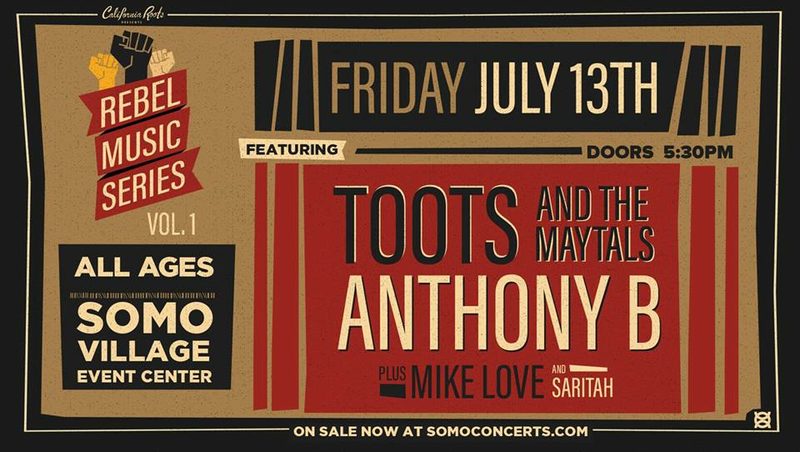 Toots & The Maytals are one of the best-loved groups in Jamaica’s history, with decades of hits and iconic Reggae songs such as Monkey Man, Pressure Drop, Sweet and Dandy and 54-46 Was My Number, they also have the distinction of their 1968 single Do The Reggae being the source of the word “Reggae” itself.A five-time Grammy nominee, Toots & the Maytals won the 2005 Grammy Award for True Love for Best Reggae album. The album featured re-­‐recorded classics hits alongside popular and legendary artistes including Willie Nelson, Eric Clapton, Bonnie Raitt, Keith Richards, No Doubt, Ben Harper, The Roots, and Shaggy. 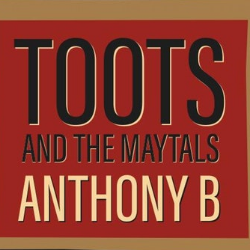 Draped in the rich colours of African cloth, his trademark staff in hand and his dreadlocks wrapped regally on his head, Anthony B embodies all that it is spiritual and proactive about Reggae music. This artiste has been steadfast in his mission to represent the poor and oppressed, using sharp lyrics to confront political injustices and bring the issues of the people to the forefront. In the process, he has raised the quality of performance standards and lyrical content for the industry, through the release of 13 albums, over 1000 singles and appearances on over 100 albums in the last 14 years. Mike Love, one of reggae music’s rising stars, was born and raised in Oahu, Hawaii to a musical family that spans generations. Mike Love brings a multitude of influences to the table, all tied together by the common goal of making the world a better place. His songs take you on a journey, one of healing and inspiration. One designed to help you on your path to knowledge, wisdom and understanding. On “Permanent Holiday” he takes you on a lyrical quest for freedom, both his and yours. He laments the ills of the world but also discusses solutions and ideas to change them. Singer, songwriter and musician SARITAH is on a worldwide musical mission to uplift, inspire and heal with her uniquely feminine blend of reggae, roots and acoustic soul flavours, conscious lyrics and live performances that are a colorful celebration of life.